So it appears Emily has won the battle about where to hatch her eggs. 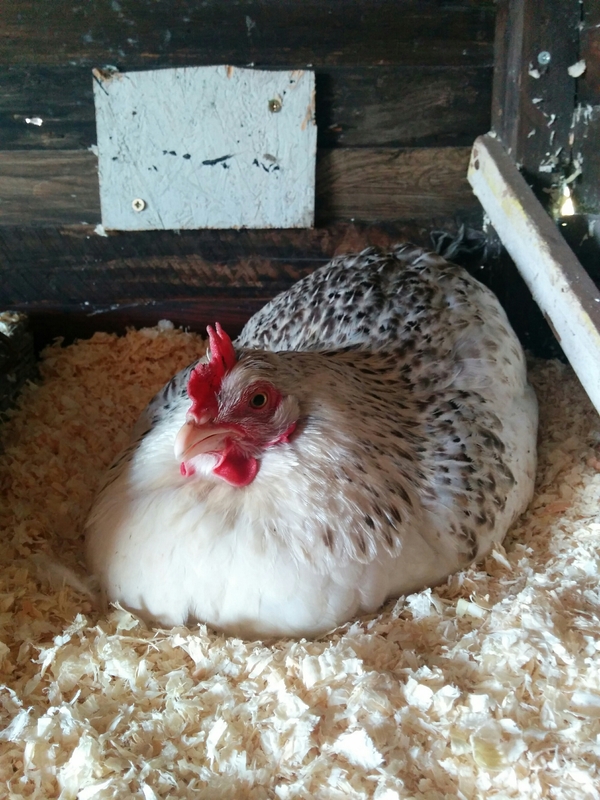 She loathed the hutch we bought and flew back to the top of the nest box in he coop. 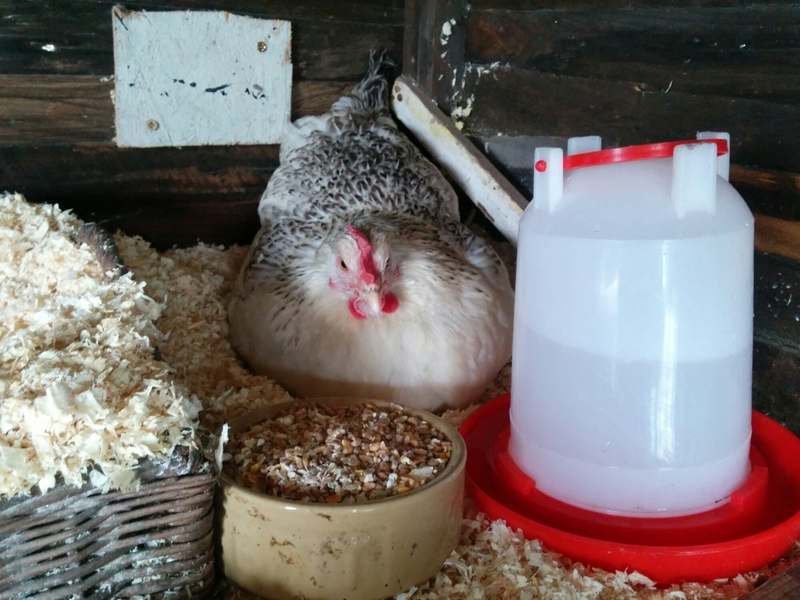 She is sitting on 9 eggs – apparently chickens don’t like sitting on an even number – 6 vorwerk eggs and 3 bantams. Two weeks time, we should hopefully have some little chicks! She has food and water next to he nest and Geoff is building some construction to keep the chicks from falling off the top of the nest box.